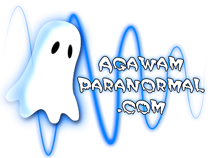 Thank you for visiting AgawamParanormal.com where we are dedicated in the research of paranormal activity and our team members all share one common goal, discovering evidence to support the existence of the paranormal. Along with our experienced team, we have the tools and knowledge necessary to discover or debunk activity centered around things supernatural. Our Paranormal Research Team members work together with the objective of finding scientific explanations for things that go “bump” in the night. We use the latest equipment in the field of paranormal research to conduct investigations into claims of paranormal activity. All initial requests for an investigation are conducted through an e-mail. This allows me to actually print a copy of all information to be added to the client’s case folder upon acceptance of their case. Telephone information is exchanged at that point and an interview meeting is also scheduled.